A lot of players waffle on whether or not to buy the BH7 Bonus Pack. Take my word for it - it’s worth it, even if you’re a fairly casual player. This option gives you 2M Gold and Elixir, a Giant Cannon at level 4, and 2500 gems. It also saves you weeks of saving up resources to complete these builds/upgrades (8.6M gold for that level 4 Giant Cannon), not to mention the time required to build them, and gives you enough resources to immediately buy your fifth Army Camp, second Hidden Tesla, and third FireCrackers. You also become instantly competitive and will quickly rise through the trophy ranks, which means higher daily loot. For those who have limited resource storages - maybe you didn’t upgrade them to level 6 before you moved to BH7 - this option will also ensure you can get the fifth Army Camp and the Giant Cannon without having to wait a week or more to upgrade and gather resources for your storage upgrades, because it literally overfills your storages beyond their capacity, adding to whatever you already have in there. The upgrade path stays pretty much the same after the initial buy, so we’ll start with a break out of the light gemmer and the Free to Play (F2P) player. If you are willing and able, now would be a good time to spend just a little money on your game and buy the BH7 Bonus Pack from the shop. This gives you 2M Gold and Elixir, and will overfill your storages; so if you had 2M in there already, now you’ll have 4M even though that’s more than the storages can hold. You’ll also get 2500 gems and a level 4 Giant Cannon. Place the Giant Cannon on your base then go into the shop and buy everything else that is new (walls, FireCrackers, Hidden Tesla, Army Camp). You have enough gems that you can either gem the timers or wait them out. I suggest gemming them so you can get into full play mode. If you want to wait out the timers, buy everything in the order I mention in parentheses so you have the shortest wait times (0 minutes, 15 minutes, 30 minutes, 2 days). (Side note: Since you have the gems and the resources, now would be a good time to make the next jump - upgrade your Hidden Tesla and FireCrackers to level 4 and gem the timers, then hit the Star Laboratory with the remaining Elixir. I was able to do this with the 2500 gems and resources I had available; I think I may have run a couple of my 2 days’ worth of stacked attacks to cover any shortfalls. Move on to the “Everybody” section below. If you are a strict F2P player - or just plain ain’t got the cash - your path is the same...it’s just going to take you a bit longer to get there. Upon completion of the BH7 upgrade, you need to start some upgrades so you can get to your fifth Army Camp. The fifth Army Camp is the most important of the new items in the shop to buy as it improves your attacking capabilities dramatically. As such, your first upgrade will be your Elixir Storages. You need one at level 6 and one at level 7. This will make your Elixir storage capacity 2.6M. As it upgrades, keep raiding to full and when it finishes, raid until at least 2.5M. You can also get a jump start, defensively, by buying the FireCrackers and Hidden Tesla before running the storage upgrades. This will give you a slight edge defensively over BH6 players. Note: If you upgraded to BH7 without first upgrading your Elixir Storages to level 6, you will need to add time and resources to get the other storage to level 6 as well. Likewise, if your Gold Storages are not upgraded yet, you’ll have to upgrade one or both to be able to hold 2M Gold. These upgrades will require you to raid a few extra days to complete the initial buy path. Now you have everything new to BH7 on the game grid, including the Army Camp. At this point, you will be competitive with the typical, entry level BH7 player. The remainder of the upgrade path is basically the same with a caveat for rushers vs near-masers. Bring everything to the same level across the game. If you near-maxed your BH6 game, you now have a level 1 Hidden Tesla and a level 1 FireCrackers sitting next to your level 6 units. If you rushed, you have a similar situation. Bring them up to the same level as your existing defensive structures. Do the same for the 4 new wall pieces if you like. Save your Elixir to upgrade the Star Laboratory. The Star Laboratory is a high priority upgrade - you want to be able to put your Elixir into upgrading your key troops. Start saving now for this upgrade and, as soon as you have the 2M elixir, start the 2 day upgrade. The next step in the upgrade process depends upon where you were when you moved to BH7. Although many of us near-maxed BH6 while waiting for BH7 to be released, most players are rushers and a lot of players did not start with the game upon its initial release. As such, you’ll want to work your structures to a point that makes them the most competitive for BH7. Where air was strong at previous BH levels, ground assaults are the current meta at BH7 so I recommend starting your upgrades there. Here’s my general upgrade path of defensive structures…. MultiMortar to level 7 - The level 6 MultiMortar was able to take out a level 12 Sneaky Archer in a single volley; it takes another hit to kill the level 14 Sneaky Archer. Considering the increased numbers of Sneaky Archers and Raged Barbarians at level 14, this upgrade tops my list. FireCrackers to level 7 - Air attacks are still strong at BH7, even though the meta currently favors ground attacks. Having THREE FireCrackers is a boon to your air defenses…the increased DPS and HP of the level 7 FireCrackers is even better. Hidden Teslas to level 7 - The level 7 Hidden Tesla gets a solid boost in damage and HP for 2.1M gold and 2 days of upgrade time. it’s ability to attack both ground and air with swift speed makes it a solid defense. Roaster to level 7 - The Roaster is strong against both air and ground attacks. Level 7 gains 240 HP and causes right about 10% more damage. Double Cannons to level 7 - The Double Canon is the bane of the Battle Machine’s existence and is hard on other troops approaching the BH as well. Giant Cannon to level 4 - If you bought the BH7 Bonus Pack, you’re already done with this one and can move on. If you’re F2P, now is the time to upgrade the Giant Cannon. You have enough strength in your previously upgraded, ground targeting defenses to sustain your base through the Giant Cannon upgrades. This is a good time to also work on those traps and mines as it will take 3-4 days to save up for each upgrade. AirBombs to level 7 - AirBombs receive an impressive boost to their damage and hitpoints. As the BH7 meta progresses, these become more important to defending against level 14 air troops. By the time you reach this point in the upgrade stream, you’ll also likely be encountering more air attacks and need the additional defense. Archer Towers to level 7 - The Archer Tower is another air/ground targeting defense. The level 7 rendition enjoys about a 10% boost in overall damage and HP. Crushers to level 7 - Crushers are always tough on ground troops, but they only get a small bump in damage and HP between level 6 and level 7. Although this is still a worthwhile bump, it’s not enough to put them ahead of other defenses that become more capable at BH7. Level 6 will do fine for a while. Cannons to level 7 - The level 7 improvements for the Cannon mirrors that of the Archer Tower. It’s ground only, so it comes in closer to the end of the upgrade path. Giant Cannon to level 7 - The Giant Cannon is formidable enough at level 4 to stay there while you work through the other defenses; now is the time to get the rest of its power behind you. Guard Post to level 7 - The Guard Post is always at the end of my upgrade paths. The level 7 GP adds one more Barbarian and bumps the troop levels to 14 from their previous level 12. This will cause more grief for attacking troops that are drawn away from the path the attacker WANTS them to travel, but not enough of a difference to warrant completing the upgrade earlier. Now…if you rushed to BH7, you’ll need to make some adjustments to this upgrade path. I suggest picking the level at which most of your defenses reside, and getting them all to at least that level, then growing from there. Another way of looking at it is to first get everything to level 4, then bring everything to level 5, then to level 6, then to level 7, using the above upgrade path for each set and simply skipping things that are already at the level you’re working towards. For example - let’s say you have everything to at least level 4, except for your MultiMortar, Crushers, Roaster, and AirBombs which are all lower and your FireCrackers which are already level 5. Upgrade the 5 defenses to level 4 starting first with the MultiMortar, then the Roaster, then the AirBombs, then the two Crushers. That gives you a solid baseline. Follow the above listed upgrade path to bring everything to level 5 but skip the FireCrackers because they’re already there. Next, follow the path to bring it all to level 6, then to level 7. If you’re a rusher, then you should already know how this one is going to work. First and foremost - make sure you’re running at least a level 5 Battle Machine. If you have something less, then your first priority needs to be upgrading the Battle Machine to level 5. Next, find a place to fit in the Star Laboratory upgrade. This can be early on (especially if you bought the BH7 Bonus Pack) or as you begin your troop upgrades. I usually make it one of my first upgrades, typically after I’ve completed a 2 or 3 day Gold-based upgrade and am still gathering gold for the next big defense structure upgrade. Raged Barbarians to level 14 - Currently, the meta favors RBs heavily. Whether it’s Bombarian or Barb Rush, RBs are a big favorite in the game. At level 14, they’re not only strong but you get 100 of them. If you haven’t perfected your ground game, now is the time to do so. Beta Minions to level 14 - The air attack continues to improve within the meta and strong air attackers do very well. The Beta Minion is easily the most versatile air attacking troop in the game and a 5 shot Long Shot ability means a big group can do a lot of damage fast to kick off your attack. Night Witches to level 14 - The Night Witch really came into her own at level 12; she’s even more of a powerhouse at level 14 with the quicker Bat spawn and additional DPS/HP. Boxer Giant to level 14 - The Giant is the tank of the ground attack and he continues to improve at level 14. Battle Machine - At this point, it’s time to start alternating the Battle Machine with other troop upgrades. I recommend literally doing one Battle Machine upgrade followed by one troop upgrade, back to the Battle Machine, and so forth. Sneaky Archer - The Sneaky Archer gets a bump to 10 units per camp at level 14 and a slight increase in damage/hitpoints at level 13. Drop Ship to level 14 - This one is a long haul. The Drop Ship is new at BH7 but it’s a worthy troop to have in your arsenal. It’s as much a tank for air attacks as the Boxer Giant is for ground attacks. You can easily alternate this with the Battle Machine after a few levels. Baby Dragon to level 14 - The Baby Dragon gets a small boost in damage and hit points, placing this upgrade toward the end of the list. Cannon Cart to level 14 - Unless you’re a Cannon Cart enthusiast, I suggest putting this one at the end of your troop upgrade list. Bomber to level 14 - The Bomber does not receive any appreciable improvements this time around, so he’s last on the list. This list is designed to provide a general guide to troop upgrades that will allow the best attacking options at any given time. There are many attack strategies that utilize Raged Barbarians or Beta Minions as key troops, so they come up early in the list. The same rationale is applied from there. Every player runs their troop upgrades a little different from another player. For example, those who prefer ground attacks might go Raged Barbarians, Sneaky Archers, Boxer Giants, Bombers, and THEN start in with air troops. Air attackers (like myself) might prefer to go Beta Minions, Baby Dragons, Night Witches, Cannon Carts, and THEN start with the ground troops. The important thing is to come up with a pattern of upgrades that suits both your attacking style and the meta under which you’re playing at the time. At this point, you’ve gotten most of your base up to max BH7. Now’s the time to hit the Clock Tower, Gem Mine, and the remaining storages if they’re still waiting. Once those are done, if we’re still waiting on BH8, I suggest hitting your walls. That’s my upgrade guide for BH7. 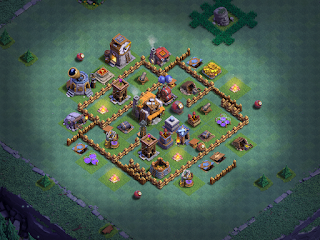 You’ll want to adjust it here and there to make it better fit with your current levels of structures and troops, as well as your attacking preferences. Hopefully, you’ll find it useful! Be sure to check out my YouTube channel and other articles on this blog; lots of great information for Clash of Clans players. Please hit like and subscribe on my videos as well, to help build the channel. Thanks! What troops should I ug and in what order? Figure Night Witch will cost about 11.2m to get to lvl 12 (haven't upgraded lab yet) vs 18m to get barbs, archers, Giants, and bombers to each level 12. I am getting lucky on defenses and want to learn new things. Also, if you can include the battle machine in your suggestion that would be greatly appreciated. He is currently level 5. Figure your blog makes the most sense so I figured I ask being things are getting more expensive now so I want to put my resources where they make sense. Sounds like you're an air guy - right? On the surface, I would go BDs to 12, then work on NWs to 12. That will give you four level 12 attacks - MBM, MBD, Beta Drags, and Mitch. After that, one of two routes - either get Boxer Giants to 12 (so you can run GiWitch) or Beta Minions to 14. Whichever you choose, do the other afterward. This also preps for the eventuality that some stronger BH7s are just a couple of weeks away. The more versatile your attack strategies, the better off you’ll be. After all all that is done, I suggest hitting your Drop Ships. Minion Drops is a great attack at level 12 and even better at level 14. In a month or so, you’ll be wanting something like that added to your arsenal. BM5 works just fine in early BH7; I have it on three of my games at L5 and one at L10, and they’re All progressing or holding steady without issue. At this point, I am focusing strictly on resource buildings and defense. I would hold off on BM upgrades until you hit the Drop Ships, then alternate. I followed your upgrade guide through bh7. What's the chance you could create another for bh8? Much appreciated. It’s already up! I also have a first look at base designs at BH8 and a video just on Mass Super PEKKA. Why clock tower so late? As an upgrade that can give you 7 more minutes of resource gathering (compared to its previous level) every ~7 hours, wouldn't upgrading it sooner mean it pays off sooner?